This concise guide by a leading New Testament scholar helps readers understand how to better study the multitude of Old Testament references in the New Testament. 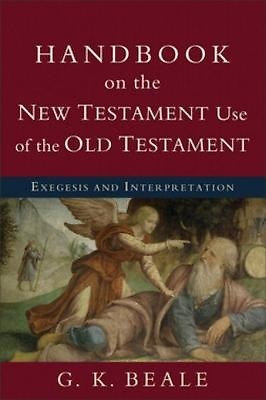 G. K. Beale, coeditor of the bestselling "Commentary on the New Testament Use of the Old Testament," focuses on the "how to" of interpreting the New Testament use of the Old Testament, providing students and pastors with many of the insights and categories necessary for them to do their own exegesis. Brief enough to be accessible yet thorough enough to be useful, this handbook will be a trusted guide for all students of the Bible.